Circus 1903 is coming to London's Southbank Centre this Christmas to bring their internationally acclaimed family circus spectacular. Circus 1903 will feature daredevil thrills and a host of dangerous acts which will leave you on the edge of your seat along with acrobats, jugglers and high wire performers just to name a few, there will also be life-sized elephants created by award-winning puppeteers. 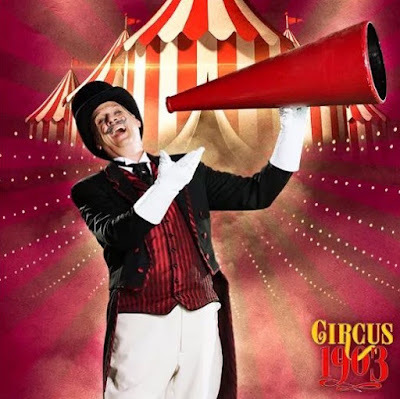 David Williamson an internationally acclaimed comedy magician who was recently awarded Magician of the Year, David will be part of the spectacular show as ringmaster Willy, I was lucky enough to ask some burning questions and find out more about David and Circus 1903. 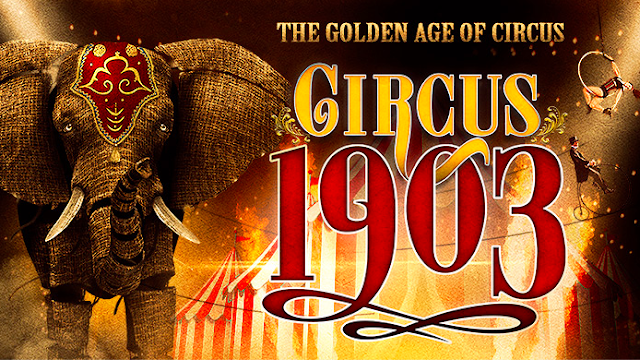 How did you get involved in Circus 1903? them and they invited me – they said come with us to the next city - but my mum said no! a tail coat and top hat they invited me to be the ringmaster for the show and I said yes! What’s your favourite circus act? cringe, cover their eyes and drop their jaws. That’s one of my favourite moments in the show. How long have you been an illusionist? What is your favourite illusion? greatest sleight of hand magician I had ever met. How does it feel to be awarded Magician of The Year? award like the Magician of the Year was truly wonderful. December - that’s in the future!